From animation to tracing, sketching and more, there is no denying the versatility when it comes to using a light box. Far different from the chunky fluorescent light boxes of yesteryear, modern offerings today are only millimeters thick, produce consistent light output, and have adjustments in brightness to account for different surface types (i.e. thick vs. thinner paper) – like the Artograph LightPad LX. In this guide we will not only review several different types of light boxes suited for starkly different applications but will also go over a few key considerations that you will want to think about before making your purchase. On Board Storage / Tray? As we did our research, we found that there were a few key points that were often on the mind of fellow artists like yourself. If flexibility is a concern to you, a USB powered light box will be best as you can easily switch between a USB/AC adapter (typically included with most smartphones), power bank, or simply a computer. On the other hand, AC powered light boxes have been known to produce more consistent and non-flickering results, which makes this the preferred choice by professionals who may be using a light box for 8+ hours a day. This can be great for those artists who want to sketch only on occasion, in a classroom, or completely disconnected in nature. We found that portable light boxes, specifically the Huion LB4 we reviewed, will last about 3.5 hours before needing to be recharged. So be sure that you take a minute or two to think on how you will use the light box before making a purchase. Within the world of light boxes you will find that they can go a modest 6″ x 9″ surface all the way to a much more sizable 18″ x 24″ (that’s a 432″ surface area)! 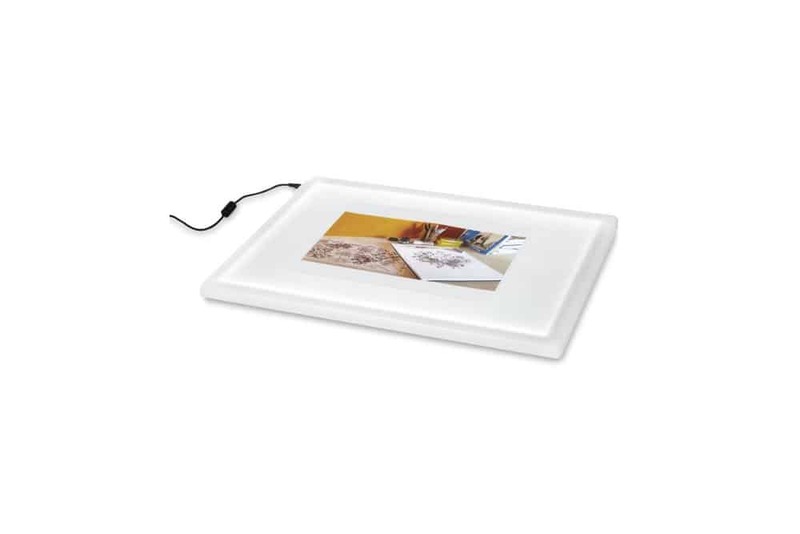 So, depending on the scale of the drawings that you plan on doing, you will want to go with a light box that makes sense for you and your artwork. Our recommendation here is to look at your past drawings in order to dictate which one will work good for you going forward. If you find that you like to only work on a smaller, sketch pad sized drawings, then a A4 light box will likely be more than enough. However, if you are an animator or are looking for a light box to work as a sensory table for kids, then something a fair bit larger could make perfect sense as well. In all the light boxes that we reviewed, most companies offered up to three different settings when it came to brightness. This can be helpful depending on the type of surface/paper you are working with. For those watercolorists or even painters working on a thick sheet of Bristol or 140 lb. watercolor paper, all the light boxes below should be bright enough to pass through the paper allowing you to effortlessly work. Opposite of that, should you be working on a thinner piece of drawing or tracing paper, a lower power setting will be welcomed in reducing unnecessary strain on your eyes. During our research we found that the weight of the light box was correlated to the scale. While this may seem obvious from the onset, should you be thinking about traveling with your light box it’s worth noting. Now with that being said, the largest light box we reviewed (US Art Supply Lightmaster), only weighed in at 8lbs – making it fairly manageable. 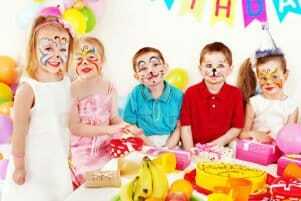 When shopping for light boxes you should expect to pay anywhere between $50 and $500 for a quality light box. Like weight, this price typically depends on the size of the light box you plan on purchasing. If you are making a career from art, we recommend going only slightly larger so you may not be too constrained in the future. With a 12.6″ x 9″ working surface that only weighs 2.2lbs and at 8mm thick, the Huion LB4 is the perfect battery powered light box to bring wherever life takes you. This small-scale light box is perfect for casual artists looking to draw on occasion and don’t have demanding requirements when it comes to scale, build quality, or light consistency. The biggest selling point of this light box will undoubtedly be the battery powered design. The ability to take this with you to a local coffee shop, or simply doing a bit of light tracing on the couch will be welcomed. You can expect the battery to last you about 3.5 hours before you will need to plug it back in – making it great for long drawing sessions. If there were any concerns about this particularly brand it would be around quality control. We did find a few artists not too thrilled with a loose USB port that may break or wear down after heavy use. Just be sure to register here once your new light box arrives in the mail. Overall, this is the perfect little portable light box for smaller scale drawings. The ability to not only go cordless but the USB powered option gives additional versatility. With 3 brightness settings, you should have no problem transferring artwork on different surfaces. 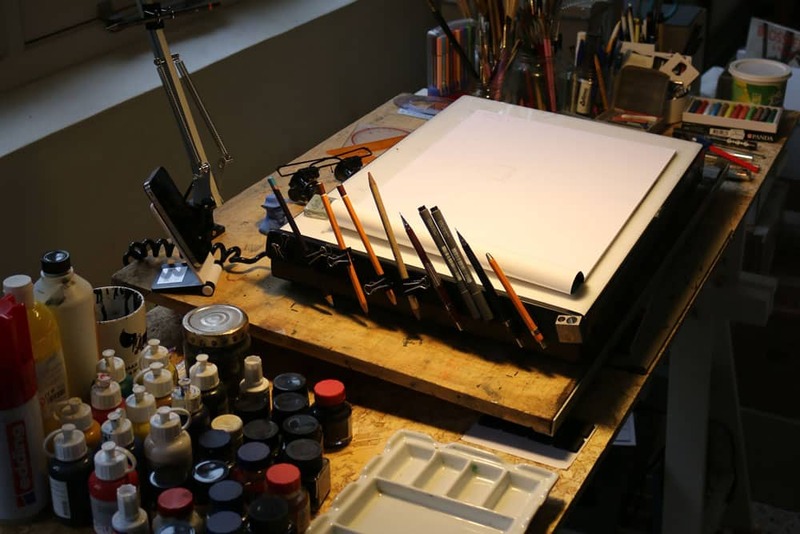 For those artists who will be a bit more stationary and don’t need the portability found in the Huion LB4 Light Box – then the Tikteck A4 might be worth considering. The biggest difference between this light box and the Huion LB4 will be the lack of a battery coupled by a slightly thinner (4.7mm) and lighter (1.45 lbs.) design. With rubber feet attached to the bottom, you can firmly transfer or trace a drawing between surfaces with increased accuracy. Of all the light boxes we looked for this review, this one was by far the cheapest (about $25 at time of publication). While the price tag is welcomed by students, it is still bright enough to get through thicker papers (i.e. 140lb watercolor paper) and should be great for most use cases. Another nice little detail that artists loved was the onboard ruler. While it may not be important for freehand drawings and transfers, if you are doing perspective or craft work where measurement is important, then it’s a simple, yet nice addition. Within the pad you can toggle between a few brightness settings so you can get the perfect one for the surface you are working with while not straining your eyes. Overall, it’s a nice little affordable light box that won’t break the bank. If you are a casual artist looking for an affordable light box that doesn’t need to withstand industrial applications, then you should check out the Tikteck light box. Just don’t expect it to last a lifetime. For professional artists, there is no beating the quality that Artograph delivers in their LightPad LX light box. Carrying over the same craftsmanship that we found in their amazing art projector, the Artograph LightPad LX is designed for pros and can withstand a TON of abuse. How’s that for superior engineering!?! Jumping aside (never thought we would say that in a review of light boxes! ), the LightPad LX is designed for professionals and is made right here in the USA – which means that it carries better quality control during the manufacturing process and a price tag to match. Ranging anywhere between $72 and $250+ for a light box – it doesn’t come cheap. However, you won’t have to worry about replacing it after a few uses as you would with some of the other generic brands out there. 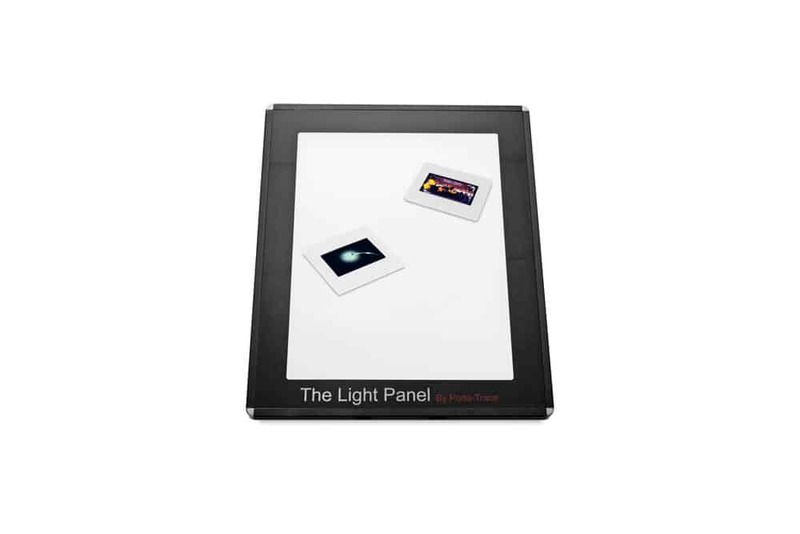 You should have no problem finding the perfect sized light box for your use. Given that this is powered via an AC adapter, the light won’t flicker – making it really comfortable for your eyes. Overall, this is a professional grade light box. The brightness ranges between 500 to 5,000 lux allowing you to find the perfect brightness for your surface and comfort. 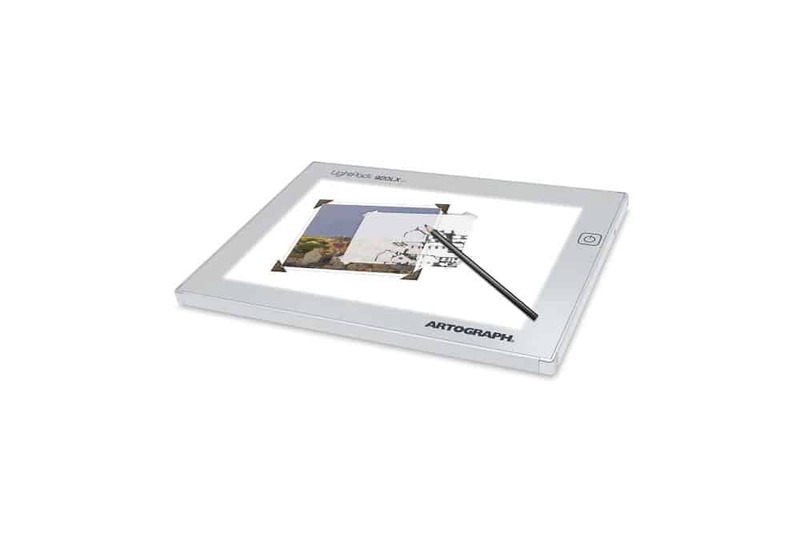 Artograph includes a protective storage sleeve when not in use. Opposite of the LightPad LX that we reviewed, the LightTracer light box is a more elementary offering that is both affordable and marketed for craft and child use. The slightly angled design is great for comfort while also allowing for onboard storage when drawing (should be able to easily hold a few pens/pencils). 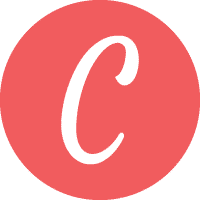 Available in two sizes – 10″ x 12″ & 12″ x 18″ it should work out great for a variety of use cases. Given that this is geared towards casual use, unlike the LightPad LX the LightTracer is also much more affordable as both models offer a sub $100 price tag. 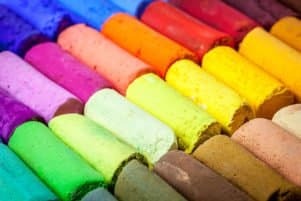 While the price is cheaper, you can still expect intensely bright results anywhere between 5,000 and 14,000 lux – making it able to easily penetrate even the thickest of watercolor papers. Overall, if you are looking for a great light box you can place on your lap or table and get to work – this is a perfect entry model. It’s made in the USA (Minnesota) and features quality craftsmanship that we have come to expect from Artograph. Versatility is what we loved most about the OttLite LED Light Box. …the OttLite is pretty remarkable. 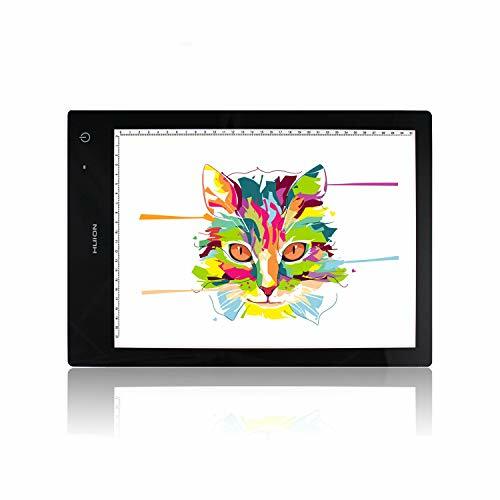 The square 14.5″ x 14.5″ drawing surface is great for most applications and relies on super bright LEDs. Perfect for crafts and a general workstation, this LED box relies on AC power which will emit a constant light source that will be free of any flickering – great to reduce strain on your eyes for prolonged activities. 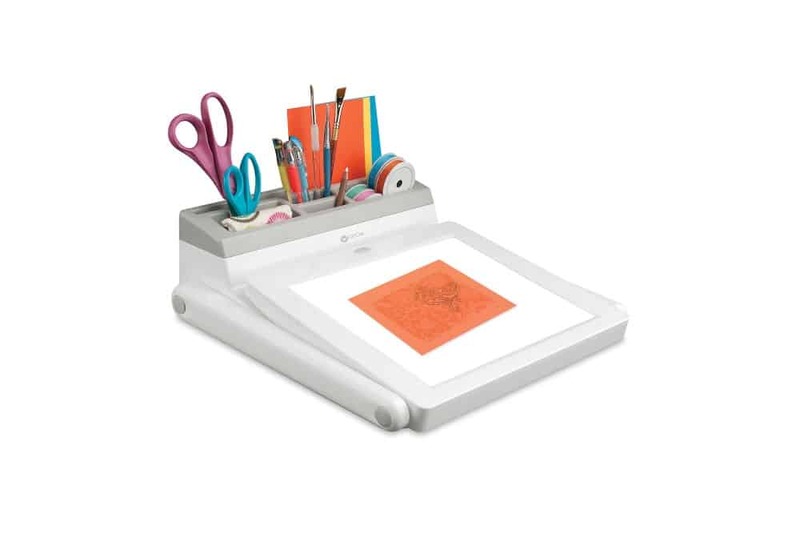 Overall, this light box is perfect for artists who like to go between several art activities (think watercoloring, crafts, drawing, etc.) and want a one size fits all approach to their light box. With a price tag under $100 there is no denying its value. 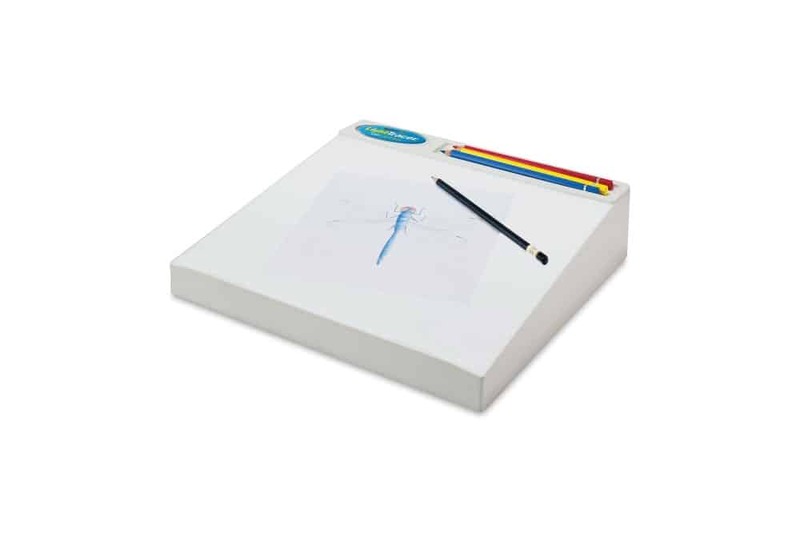 Competing head-to-head with the Artograph LightPad LX is this professional offering by Gagne. Receiving a 4.6 rating out of 5.0 by other artists, it’s easy to see why they find this light box so appealing. Relying on a removable AC power source – the LEDs shine both bright and consistent for all-day use. Secondly, the design of the frame and drawing surface itself are also uncompromising. The frame is of a lightweight anodized aluminum coupled with a Plexiglas surface – ensuring that it can withstand years of abuse. So, you should have no problem finding the perfect one for your preferred drawing surface. Overall, this is a light box designed for professional application. Its body is strong and rigid and won’t need to be replaced after a few uses. Just expect to pay a premium given its high-quality design. We loved the scale of the U.S. Art Supply Lightmaster. One of the largest on our list that still is affordable for most – this massive 17″ x 24″ light box is perfect for artists who want to transform their art desk into a fully backlit drawing surface. 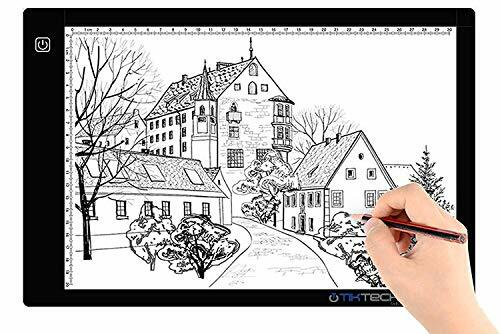 At only 9.5mm thin, this expansive and smooth drawing surface allows for long and expressive strokes that will be unimpeded. 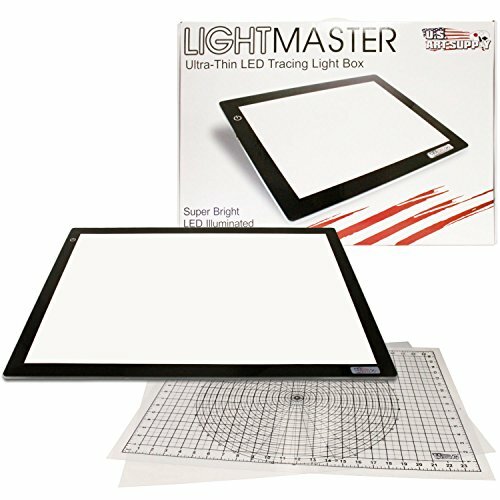 Now if you are looking for a light box for more craft or casual applications, you will be happy to learn that the Lightmaster does come with both a measuring overlay grid along with a circle template/protractor – making it great for precise measurements. For those who are looking to have a fun sensory surface for kids, this light box does come with a ‘1-year unconditional full replacement warranty’ – so you can use and abuse it with peace of mind. Overall, this is a great (and affordable) light box that doesn’t command a professional level price tag. The thin and light body design are also perfect. Expect to have quite a bit of fun from this light box. 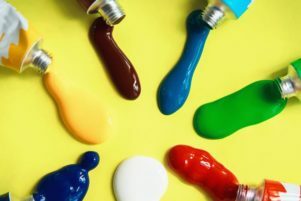 Copic is one of those names that has been a fixture in the art supply world for years – primarily through the Copic Markers. However, what many may not know is that they recently introduced a LED light box that professional artists are starting to take a liking too. Unlike many light boxes that are a bit too rigid and ‘cold’, the Copic Tracer LED Light Box features a much more inviting design. 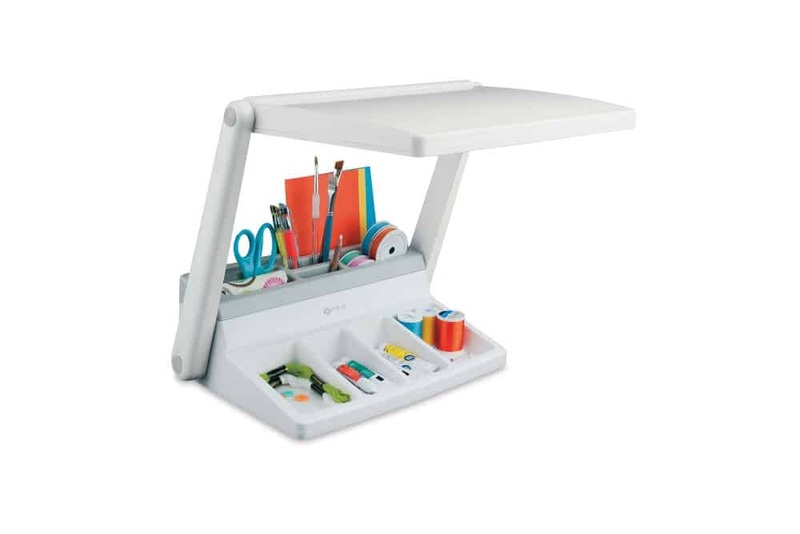 With smooth rounded corners, this light box is one that you will want to take off the art desk and into your lap and have some fun on the couch. Powered through a removable AC adapter – it features a gradual light source that won’t flicker or strain your eyes when working. Available in both A4 and A3 sizes (10″ x 14″ & 14″ x 19″ respectively), it should work for most drawing applications. Overall, this is a professional grade light box that features a bit more inviting frame design. The powerful LED light source is rated to last 50,000 hours and is great for full day use. Selecting the best light box in 2019 was a lot harder than we initially thought. Immediately when we began our research, we quickly found out that there were two main categories – super cheap and nearly disposable light boxes compared to those that are more professional grade. However, after spending countless hours reading reviews and feedback from other artists, we are confident that we found the best light boxes in both categories above. Of course, due to limited resources, we were unable to review every single one that is on the market today. If you feel like we should look at another, please let us know! We hope the above information we gathered for you today helps you in deciding the perfect light box for your artistic endeavors!